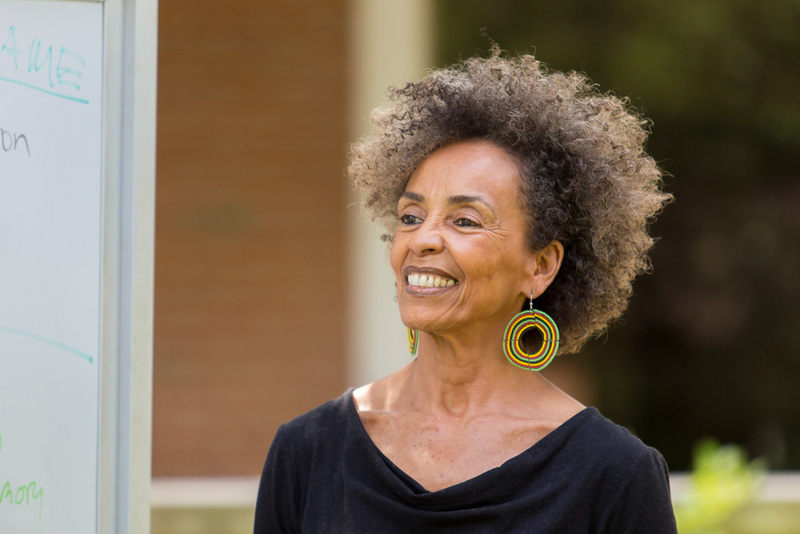 Since losing two childhood friends in the 1963 Sunday School bombings in Birmingham, Alabama, Fania Davis has dedicated her life to social justice advocacy, becoming a civil rights attorney and a restorative justice scholar, professor and national thought leader. Davis will give the keynote address during Eastern Mennonite University’s Academic and Creative Excellence Festival on Wed., April 18 at 7:30 p.m.
She will also speak in a chapel service on Fri., April 20 at 10:00 a.m. Both events are in Lehman Auditorium and are free and open to the public. The co-founder and director of Restorative Justice for Oakland (California) Youth, Davis is a Woodrow Wilson Visiting Fellow with the Council of Independent Colleges. In recent years, she has worked to further truth and reconciliation processes for racial healing in the United States. To begin that process, and with the help of her RJOY colleague and CJP alum Jodie Geddes and current CJP students Renata Loberg and Brenna Case, Davis is documenting and mapping community-level groups across the country who are doing truth and reconciliation work. The Woodrow Wilson Visiting Fellows program connects institutions of higher education with prominent artists, diplomats, journalists, business leaders, and other non-academic professionals for week-long placements to “create better understanding and new connections” and “substantive dialogue” with students and faculty.